This year’s Oktoberfest wrapped up two weeks ago and was nothing short of legendary. According to the festival’s official website, the fair brought 6.4 million guests on a beer pilgrimage to Munich from all over the world. The pilgirms consumed 114 oxen, 58 calves, and 6.7 million liters of beer—an average of over a liter of beer per head—and spent 400 million Euros throughout the 16-day celebration. Based on these numbers, Munich’s Oktoberfest clearly continues to live up to be the biggest party in the world. So what does a person who does not drink beer do in a city that’s known for its legendary beer festivals, beer gardens, and beer houses? A whole lot, in fact. Some people claim that Munich has a cultural scene that can rival—to others, even best—that of Berlin’s. For my husband and I, having visited Berlin earlier this year, and eventually falling head-over-heels inlove with it, Munich had a lot to contend with. 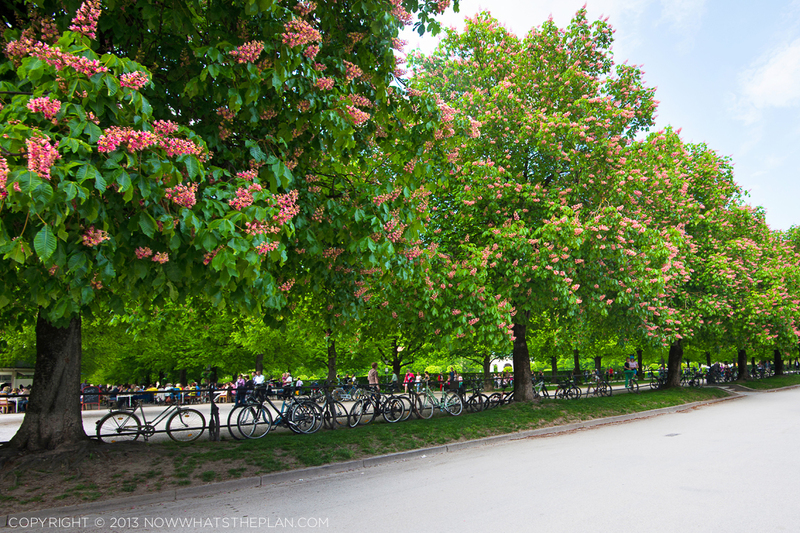 But we were pleasantly surprised: between the rich Bavarian history that seemed to blanket the entire city, and the many little treasures around every corner, Munich felt very romantic. (The complete opposite of what one might surmise after 683 cases of alcohol poisoning last Oktoberfest.) The palaces, churches, and stories of peculiar kings seem to come straight from fairytales. And the oh-so-green gardens, live music in the streets, beautiful museums, and magnificent views, give a dash of fairy dust to the overall mood. 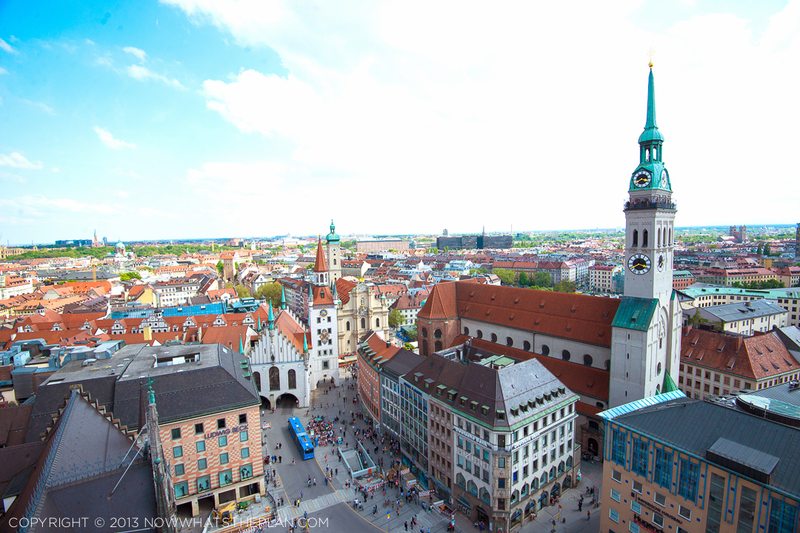 Of the two days that we spent in Munich, I recommend these 7 ways to appreciate the city without having to pick up a single stein of bier. 1. Appreciate the beautiful architecture. Even after being heavily damaged by bombings in World War II, Munich is still full of beautiful structures. The best and most iconic one is probably the Neues Rathaus (New City Hall) at Marienplatz. Find a spot in the middle of the square, tune out the sea of tourists and locals that crowd the square on a daily basis, look up, and behold the beautiful structure. 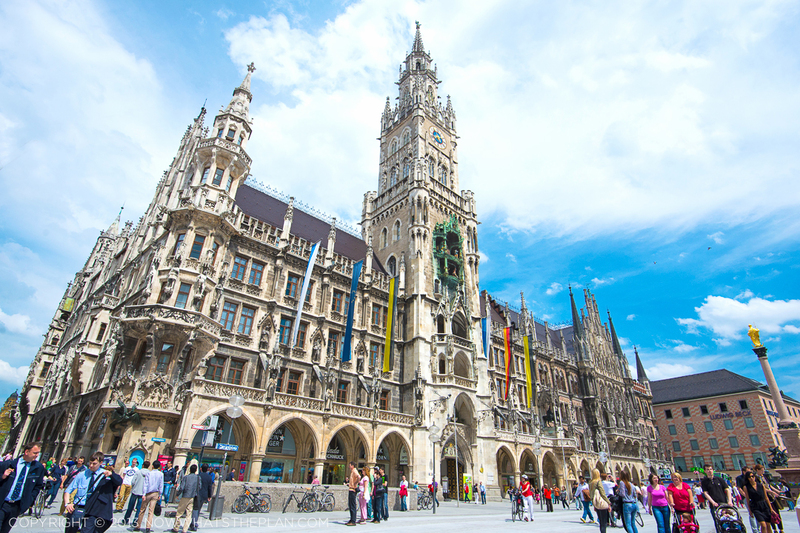 Time your visit around 11am, 12pm, and 5pm, and you’ll get to see the Rathaus-Glockenspiel where 32 life-size figures featuring dukes, ladies, and knights, dance around and tell a story to the tune of 42 chiming bells. You won’t be able to stop yourself from smiling. The Neues Rathaus (New Town Hall) at Marienplatz. 2. Listen to live music—it’s everywhere. Beautiful music seemed to play everywhere we went in the city. 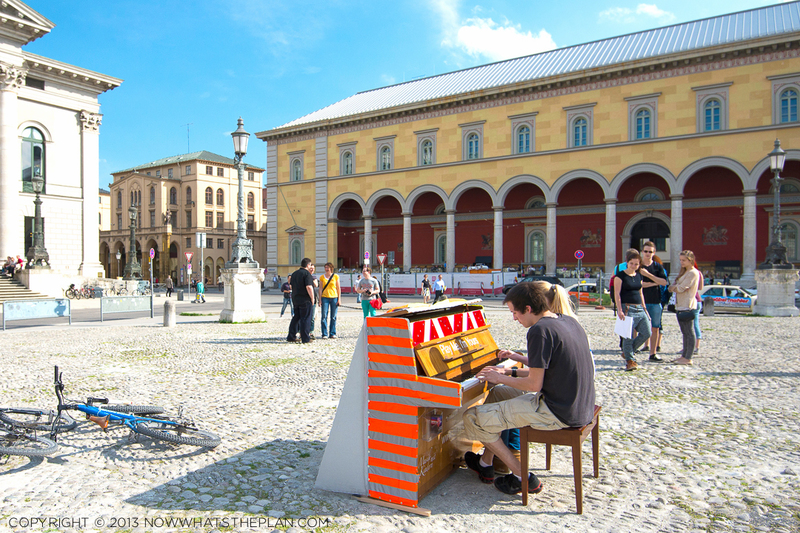 At Max-Joseph-Platz, strangers played Beethoven’s Piano Sonata No. 14 from an old ‘public’ piano right in the middle of the square. The words ‘Play me I’m yours’ written on it invited locals and tourists alike to sit for a few minutes and play for the willing audience. 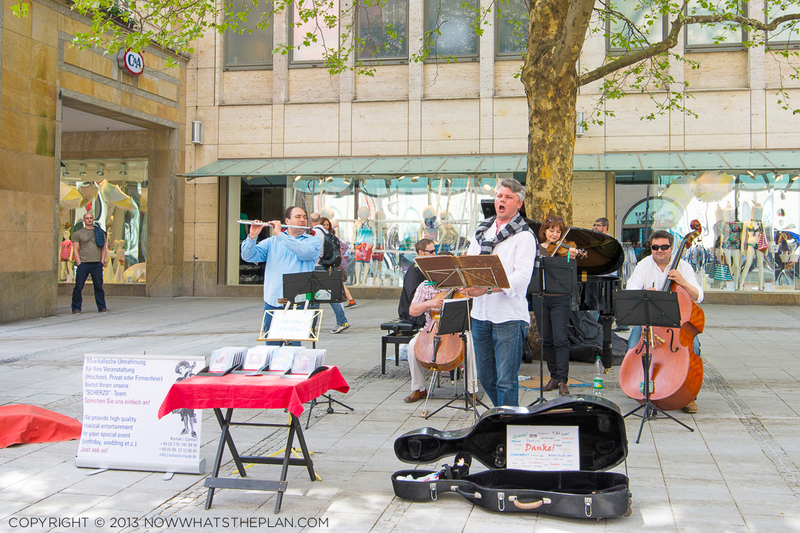 Right off Karlsplatz, a soprano serenaded the shoppers of Neuhauser Straße. If you pay close attention and keep your ears ready, you’ll find that your Munich visit can be fully accompanied by music from the masters. Munich doesn’t have a church that will compare to the grandeur of the Berliner Dom, but it has smaller churches that are just as special. 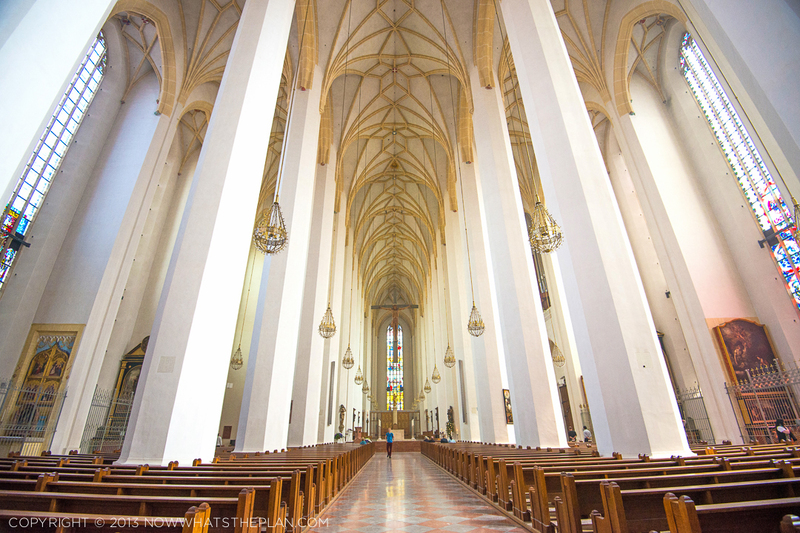 For example, the Frauenkirche—the iconic twin towers of Munich—have such surprisingly bare interiors. Juxtaposing the unadorned walls and ceilings with the sheer size of its nave (31 metres), the church still feels surprisingly intimate. I think the simplicity of the interiors encourages visitors to put away their cameras, to take a seat instead, to reflect, to pray. Die Pfarrkirche Sankt Peter (St. Peter’s Church) is much more ornate compared to Frauenkirche but what’s so unique is the overall colour of the church: instead of the gilding in gold leaf that’s typical of Renaissance and Baroque churches, St. Peter’s is predominantly pastel. The mouldings and trimmings are painted in what looked like blush pink, mint green, and lemon chiffon. 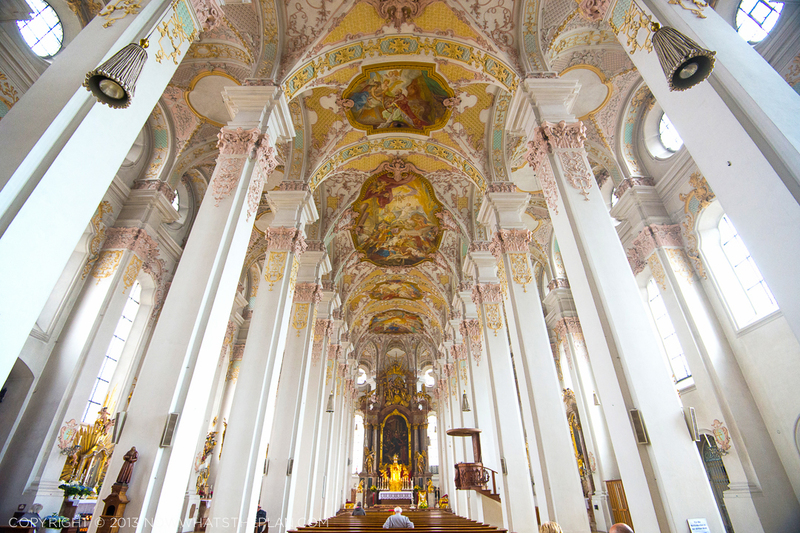 And of course there’s the The Theatinerkirche St. Kajetan (Theatine Church of St. Cajetan) with interiors that can rival the most beautiful Baroque churches of Italy and France. Although most tourists spend a lot of time photographing its façade—being bright yellow and all—I feel that the interior is much more special. On a sunny day, the sunshine spills indoors and lights up the nave in an almost celestial glow. 4. Climb up to see the stunning views. 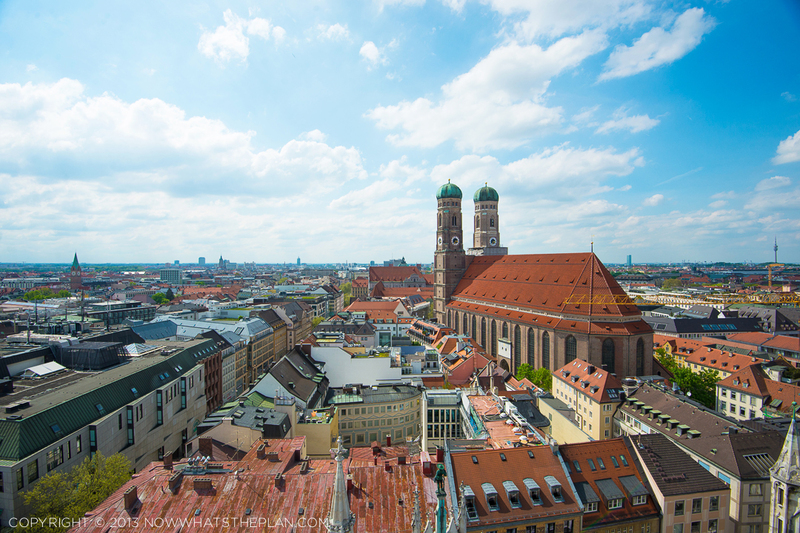 One more thing that makes Munich special: there’s an elevator to climb up to see amazing views of the city. Visitors are spared the narrow, claustrophobic, winding staircases that’s typical of tower climbs all over Europe. At the tower of the New Town Hall, you get rewarded with amazing views without breaking a sweat. 5. Enjoy the local fare—there’s more than just oxen and calves. 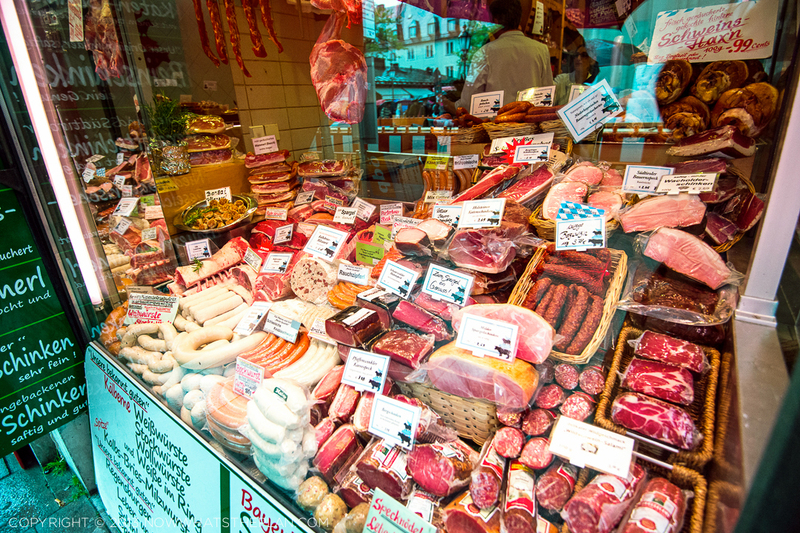 Vegetarians may not have a wide range of choices in Munich but this doesn’t mean there’s no variety in the menu. 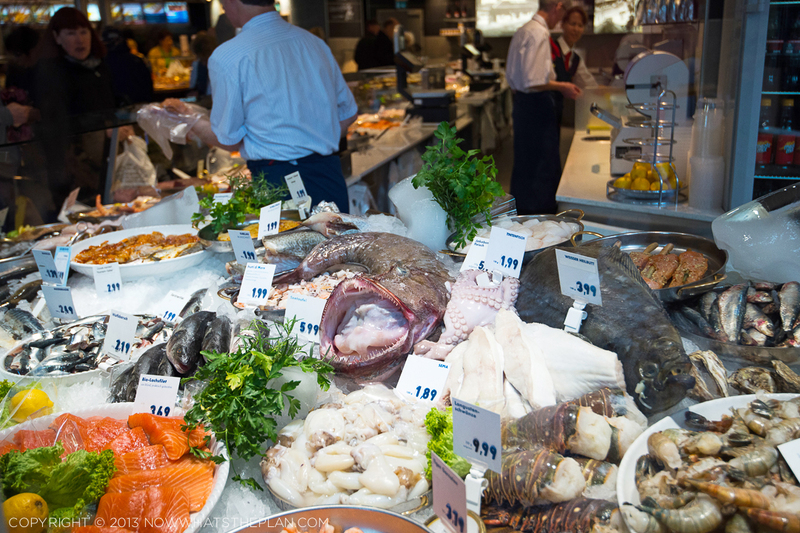 Pescetarians will be happy to know that there’s a healthy dose of sea food offerings. Take the Viktualienmarkt for example: although the 22,000 m² open market of over 140 stalls is dominated by grilled meat and more grilled meat, right in the heart of it stands a giant Nordsee store which offers anything from fish sandwiches to-go to pick-your-fish-and-we’ll-cook-it kind of meals. Although it’s a fastfood chain, it offers visitors a respite from the meat-heavy Bavarian diet. 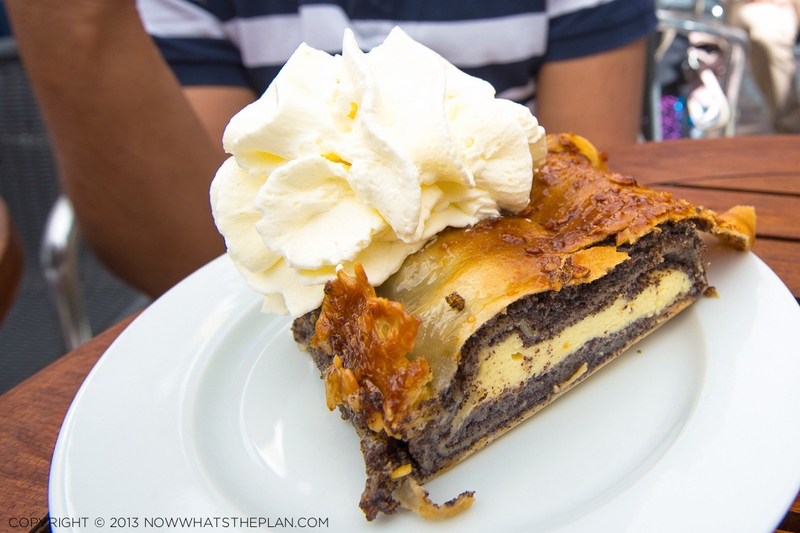 And no visit to Munich is complete without a serving of strudel. We had ours at RischArt—a family-run bakery/patisserie chain that dates back to 1883—just off Marienplatz where we savoured every bite while enjoying the sights and sounds of Munich’s most famous square. 6. Enjoy the gorgeous gardens. 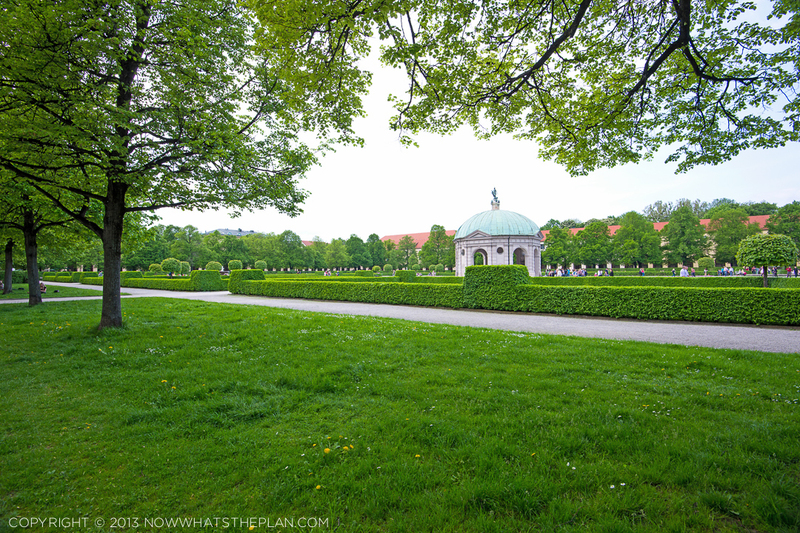 I skipped all the famous beer gardens of Munich and instead spent a lot of time in the most beautiful garden of them all: The Englischer Garten (English Garden). 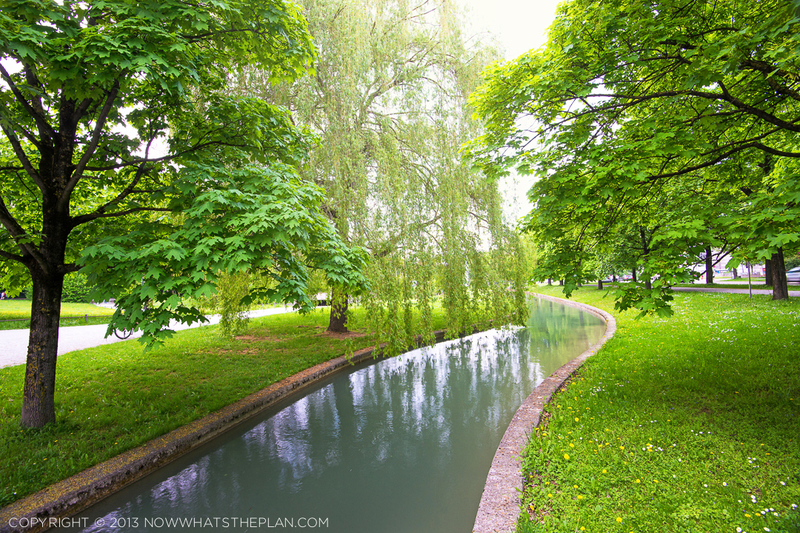 The 3.7 km² park has rows and rows of flowering trees, the most pristinely sculpted hedges, cool canopied walkways, and lazy meandering canals. 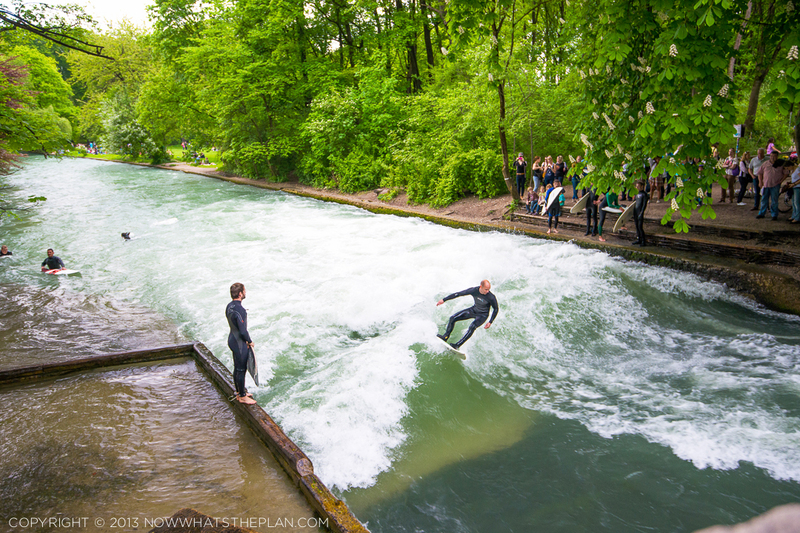 And if you’re looking for a bit more excitement, walk towards the Prinzregentenstraße end of the park and you’ll find professional surfers trying to catch a wave or two—a really unexpected spectacle when you’re 500km away from the sea. 7. Spend a day at the Münchner Residenz. Heavy downpour forced us to spend an entire day indoors during our short visit to Munich. And looking back, I’m glad that the incessant rain made us change our plans as it gave us all the time we needed to see the Münchner Residenz (Munich Residenz), the former royal palace of the Bavarian monarchs. 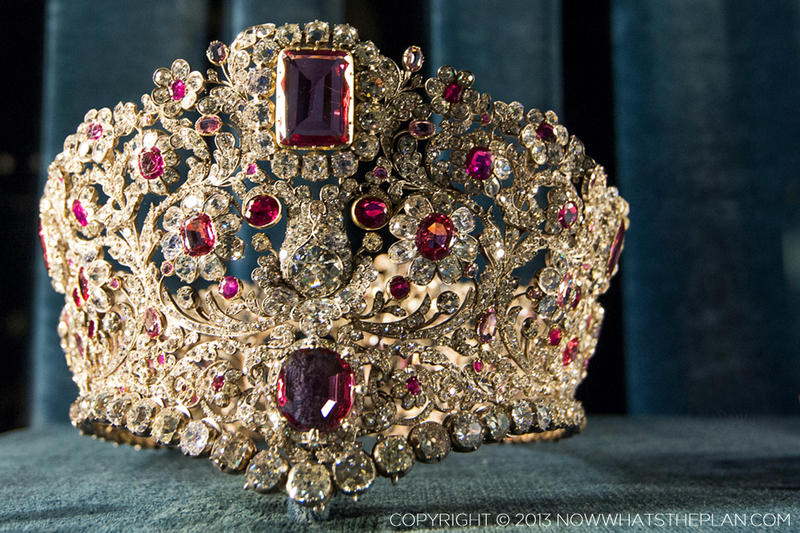 We visited The Treasury first where we saw thousands of jewels of the Bavarian royal family on display. But it was just a taste of what else is in store: the actual palace is made up of 130 rooms of plush carpets and fabrics, rich wallpaper in the most beautiful jewel tones, gilded walls, doors, and furniture, and much, much more. Each room comes with a story, and each story brings you deeper into the fairytale life of the Kings and Queens of Bavaria. The Munich Residenz is by far my most favourite thing about Munich. 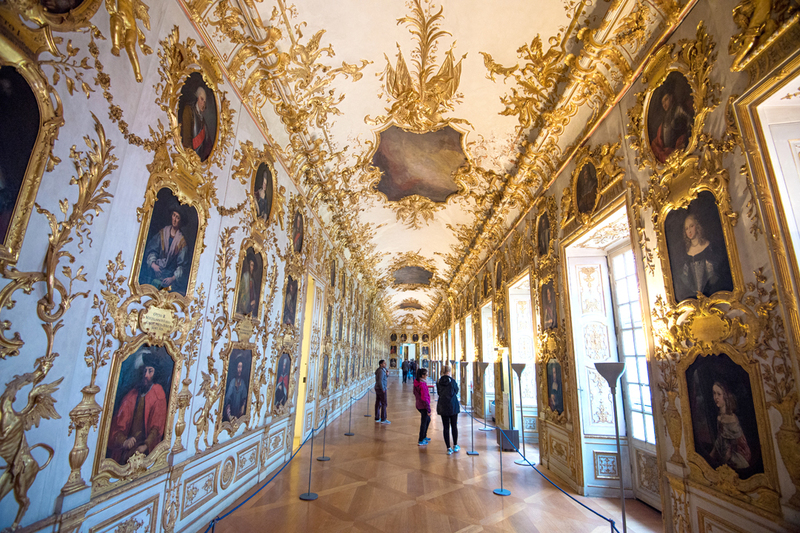 See what’s inside the palace in my post “Inside the Bavarian royal palace“, together with 20 select photographs. This entry was posted in Germany, Munich and tagged Bavaria, Germany, Munich, travel plan, travel tips, weekend, weekend plan. Bookmark the permalink. Great post and pictures! Thanks for adding a couple of ideas for our itinerary. I just saw this comment now Josh! How did your trip go? And where are you off to next? I haven’t been to Madrid. I’ll need to check out your tips. 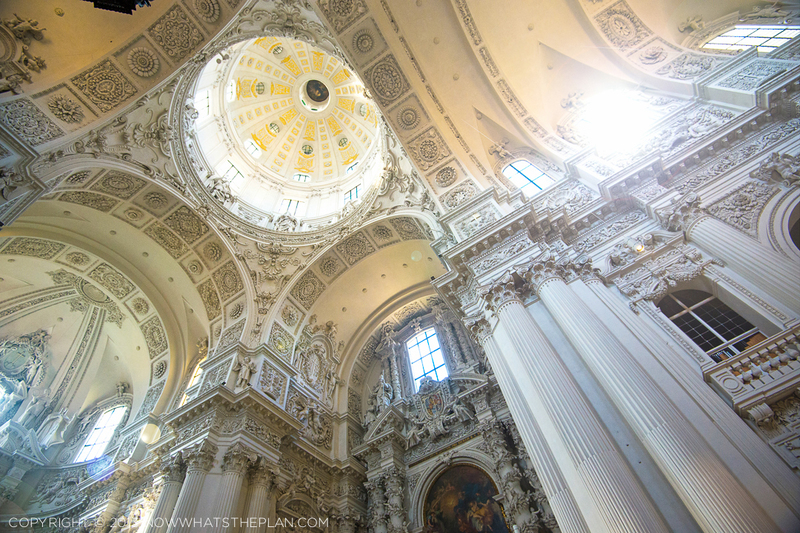 Pingback: Munich Residenz: Inside the Bavarian royal palace | NOW WHAT'S THE PLAN? Pingback: Real fairytale castles of Bavaria | NOW WHAT'S THE PLAN?